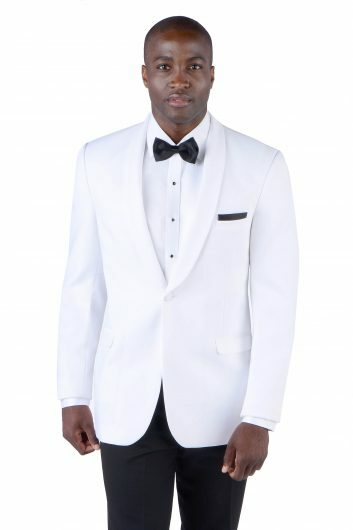 The Ivory Dawson by Ike Behar is a tremendous design and one of the most unique tuxedos in Savvi Formalwear’s inventory. 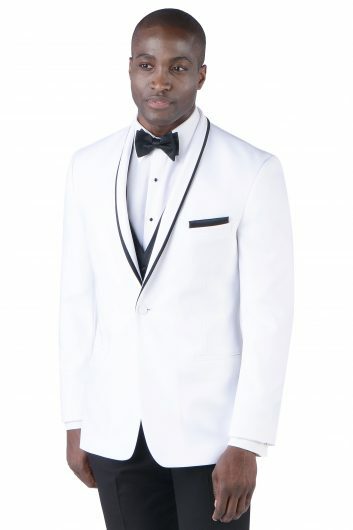 This gorgeous white tuxedo is made from a comfort blend and has a slim fitting jacket with black flat front pants that will make you the talk of your prom, homecoming, or any other special occasion. 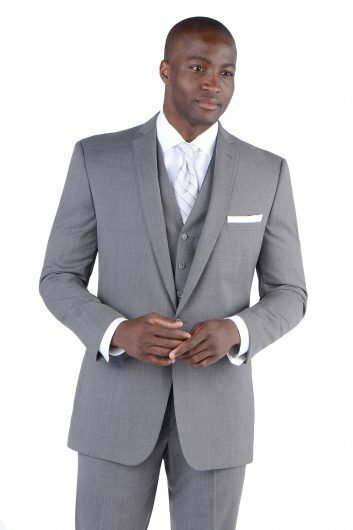 This tuxedo’s jacket has a one button front closure with contrasting besom pockets. 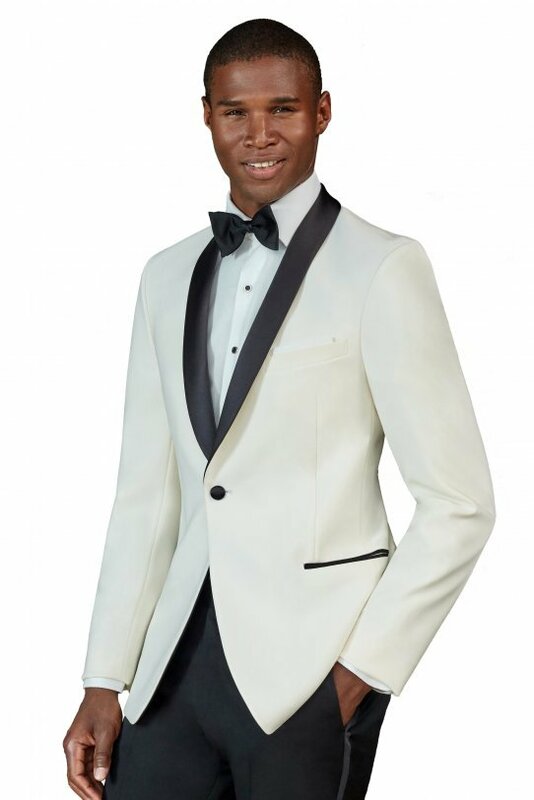 The Ivory Dawson by Ike Behar features a black satin lapel and a center vented back. The white tuxedo and black pants are available in both adult and child sizes.